Wageningen, Netherlands| Hyderabad, India, May 30, 2018: A global partnership on technologies to potentially benefit millions of smallholder farmers across Asia and Africa, was signed on May 25, 2018 in Mumbai. 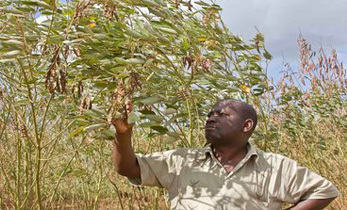 The Netherlands-based agricultural biotech company KeyGene and not–for-profit scientific research organization, the International Crops Research Institute for Semi-Arid Tropics (ICRISAT) signed a Letter of Intent (LoI), for research and co-development on legumes and cereals. The two institutions will work together using novel crop innovation solutions based on KeyGene’s proprietary technologies and know-how. The signing took place at a high profile trade mission hosted by the High Commission of The Netherlands, in presence of the Dutch Deputy Prime Minister and Minister of Agriculture, Nature and Food Quality (The Netherlands) Ms Carola Schouten, in Mumbai. The LoI was signed by Dr. Kiran K Sharma, Deputy Director General Research (Acting), ICRISAT and Dr. Arjen van Tunen, CEO, KeyGene. 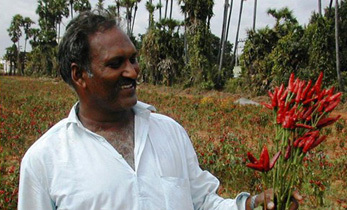 KeyGene and ICRISAT will work together on innovative approaches for trait development and gene discovery. KeyGene will share its knowledge and expertise on crops and the use of KeyGene’s crop innovation platforms. This includes KeyGene’s Sequence Based Genotyping (SBG) and mutation breeding technologies. 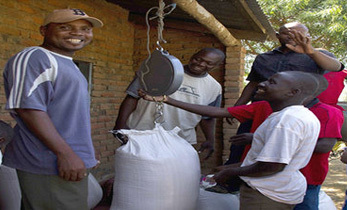 The genetically diverse grain legume resources of ICRISAT will serve as a reservoir for the identification and exploitation of useful traits. These will be used as a starting point for crop breeding and mutagenesis programs. Capacity building and skill development of start-up entrepreneurs is also envisaged in this collaboration through ICRISAT’s BioNEST-Bioincubator “BioNCube”. “We look forward to this collaboration with ICRISAT to combine scientific expertise from both organizations. The applications of KeyGene technology in the germplasm of ICRISAT’s mandate crops can help develop highly productive and resilient crops for food and nutrition security of the poorest populations in India and Africa”, says Arjen van Tunen, CEO KeyGene. 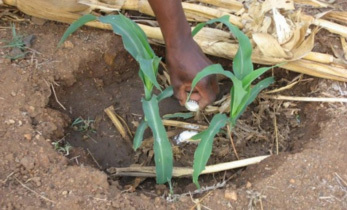 “As part of this partnership, we are hopeful to see rapid improvements in the applications of technology and its translation into next-generation agricultural products to benefit smallholder farmers in the drylands. We also believe that the combined knowledge will enable building capacity to foster innovation in agriculture”, says Peter Carberry, Director General (Acting), ICRISAT. 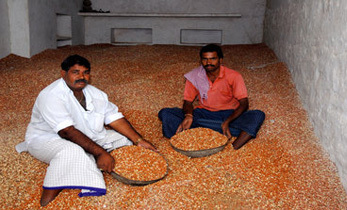 The collaborative efforts are aimed at improvement of the crops such as chickpea, pigeonpea, and groundnut. 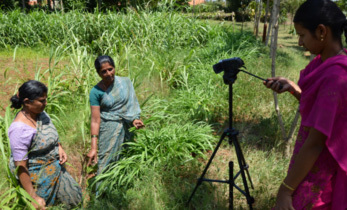 It reflects the mission of both institutions – where KeyGene has been supporting organizations for R&D challenges in agriculture and ICRISAT has been partnering private sector capabilities for public good.